Franz Kafka was born in Prague in 1883 and died of tuberculosis at age forty-one. Although he published very little in his brief lifetime, Kafka became one of the most influential icons of 20th-century literature. British poet W. H. Auden even referred to “the Kafka century.” What was the secret of his unique literary style? How did he experience Judaism? And can he be considered a Jewish writer? Kafka was born in one of the most important cities in the sprawling Hapsburg Empire, in which twelve different nationalities intermingled. Austro-Hungary labored to keep them all in check, peddling an uninspiring mix of German culture and Austrian patriotism. 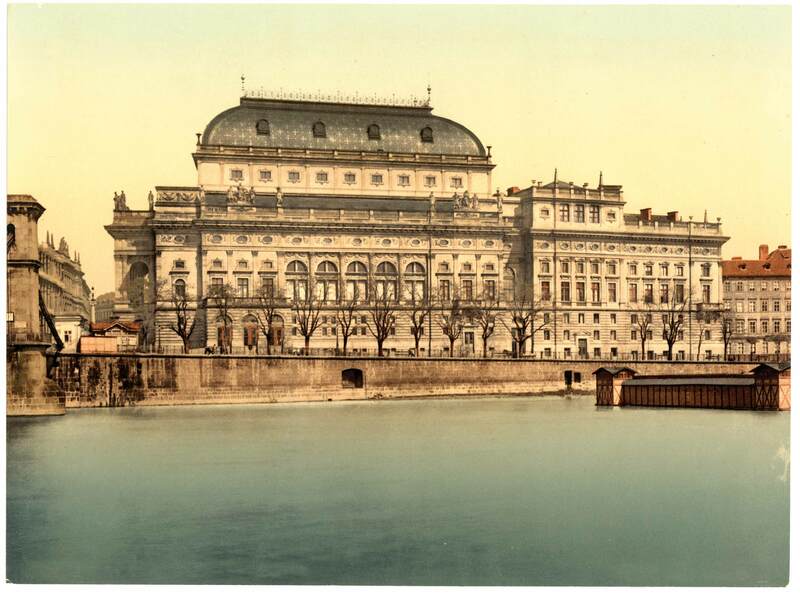 Yet nationalist fervor erupted in several hot spots, including Prague, capital of Bohemia. Like most of central Europe’s big cities, Prague was German in language and culture until the mid-19th century, when urbanization brought an influx of Czechs from the surrounding small towns and rural areas. By the beginning of the 20th century, this contingent was the majority, and about half of those listed as Germans in the Austro-Hungarian censuses were in fact Jews. How best to tell the story of this diverse population? Until recently, scholars depicted Germans and Czechs as vying for ascendancy, squabbling over such matters as whether street names should be in German or Czech. Stuck in the middle, Jews were perceived as sitting on the fence, leading to increased anti-Semitism. 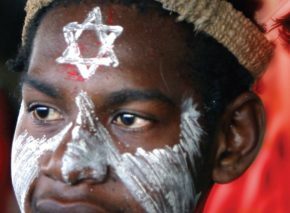 Isolated, they took refuge in their own cultural expression, especially Zionism. Today, however, the three ethnic groups are thought to have coexisted peaceably – even sociably – apart from arguments blown out of proportion by politicians and restless university students. Some of Prague’s most prominent Zionists – including their leader (and Kafka’s classmate), philosopher Samuel Hugo Bergmann – saw this integration as their key contribution to the Zionist cause. 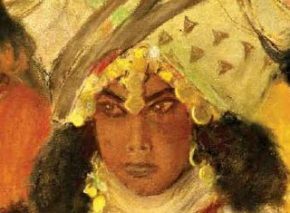 The cultural ease inbred by their native city would, they thought, allow them to bridge other gaps – between Jew and Arab as well as between eastern and western European Jewish culture. 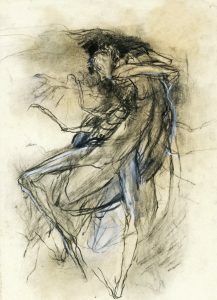 Either way, Kafka’s unique style can’t be fully grasped without appreciating his complex political and cultural environment. In the original German, for example, Kafka’s coherence differs markedly from the unwieldy sentences employed by his German contemporaries. This clarity stems from his being an outsider to the German-speaking community, and from the linguistic sensitivity born of living in Prague’s ethnic jumble. 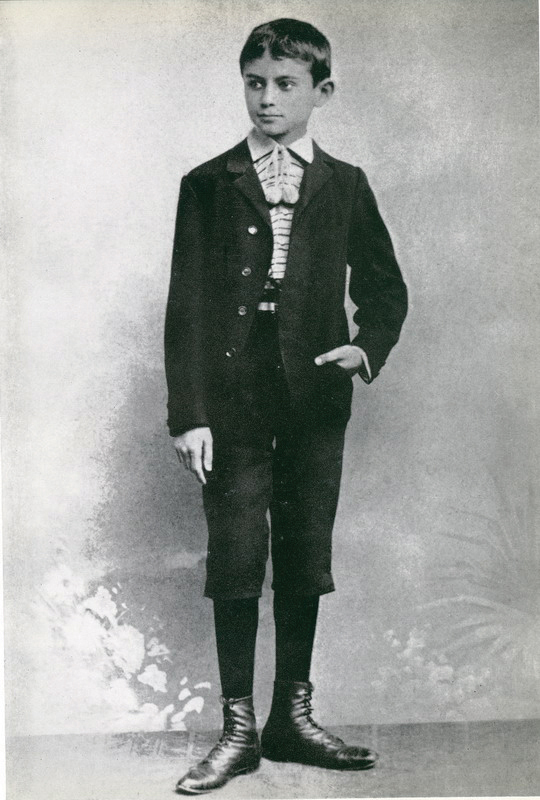 Franz Kafka was the eldest of six children born to Hermann Kafka and Julie Löwy. His two brothers died in infancy, and Franz grew up with his three sisters – Gabriele, Valerie, and Ottilie. Hermann Kafka was a successful fashion retailer, and he and his wife concentrated on their business while nannies and servants raised the children. Franz’s father was a self-made man, guaranteeing a life of affluence for his family. He expected his children – particularly his son – to follow in his hard-working, frugal footsteps, but to his great dismay, Franz refused. A yawning generation gap stretched between them, exacerbated by their different personalities. In 1919 Kafka wrote a hundred-page, unsent letter to his father, characterizing him as a crude, insensitive monster who tyrannized his family and employees. This caricature appears to be less a reflection of Hermann Kafka than a manifestation of the chasm between his bourgeois ideals and his son’s quest for self-fulfillment, freedom, and authenticity, inspired by the student-led revolutions of the late 19th century. The trauma inflicted on the young Kafka’s sensitive soul by such a strict and demanding father destroyed his personal life yet sowed the seeds of his phenomenal creativity, much of it devoted to painful family conflict. 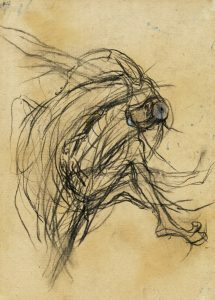 For example, “The Metamorphosis,” written in 1912, is the perfectly crafted story of salesman Gregor Samsa, who wakes up one morning to find he has turned into an insect. 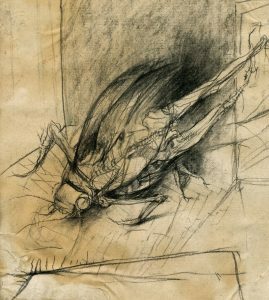 Kafka’s convincing yet confusing portrayal of a part-insect, part-human consciousness is one of his greatest literary achievements. He traces how our devotion to career, convention, and family robs us of our authenticity and even our humanity. Even more shocking, the unfortunate Samsa is betrayed by his job, his society, and even his own family when he becomes a burden. Man’s only comfort – and redemption – lies in his art. Samsa ultimately suffers a slow and painful death because of an apple (symbol of Adam’s primordial sin) thrown at him by his own father. “The Judgment” is another tale of tension between the individual and his family, society, and workplace, culminating in a similar tragedy: a father sentences his son to death by drowning, and the son obediently complies. 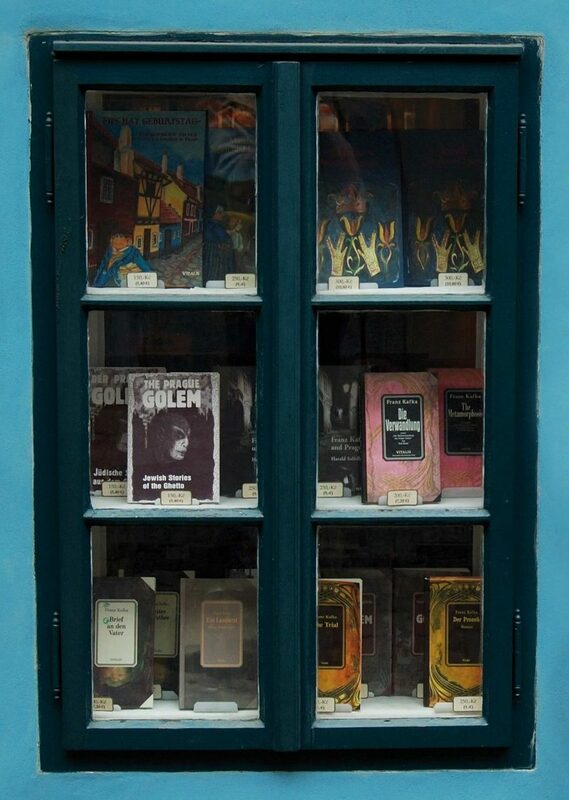 Kafka’s education, like his home, was at once broad, cultured, and rigidly hierarchal; in a word, bourgeois. He was taught middle-class European values: etiquette, frugality, rationalism, and emotional restraint if not repression, with no room for passion or baser instincts. All these inform his work. 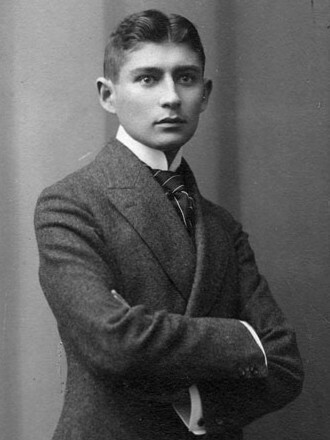 Kafka earned his Ph.D. in law in 1906. 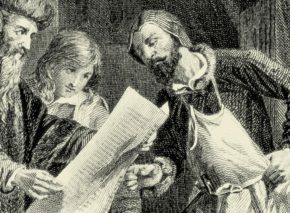 He was employed by the semi-governmental Workers’ Accident Insurance Company for the Kingdom of Bohemia for over twenty years. Although Kafka’s writing suggests he was a small cog in a vast bureaucracy, he actually attained such a responsible position that he was hard-pressed to take sick leave when diagnosed with tuberculosis. Some of his darker, most Kafkaesque passages surely derive from the tragic accidents he dealt with daily. Kafka was already dreaming of becoming a writer when he joined the company (he’d left his previous employer, an Italian insurance firm, because the long hours left him no time to write). Much of his early work has been lost, some of it destroyed by his own hand. One story he did publish, albeit partially, is a novella known today as Description of a Struggle. 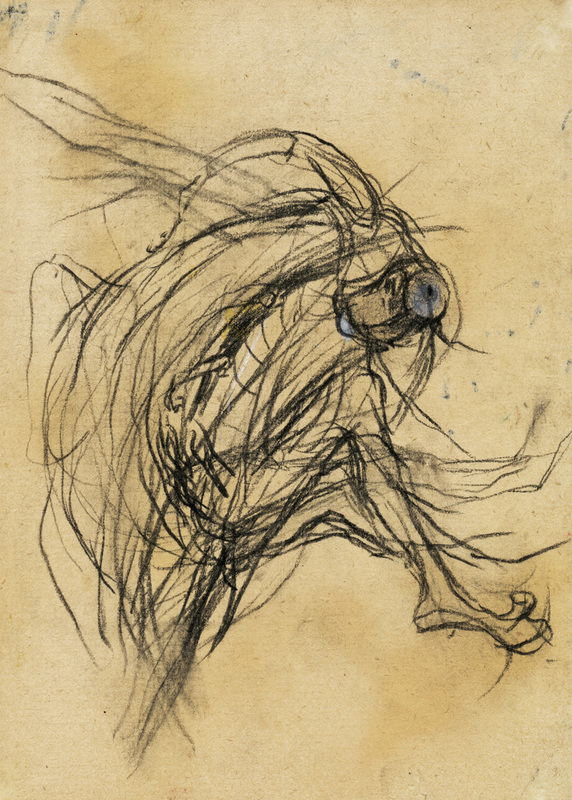 Kafka never completed Description; in fact, he left behind far more unfinished works than finished ones. Like his confusing, even hesitant style, his fragmented output is just another illustration of his nightmare existence; an imperfect world with neither beginning nor end. From the day Kafka completed his academic studies until 1911, he devoted almost all his energies to writing. His utter, almost religious devotion to what he considered his true vocation may be the secret of the unique style that captured so precisely the maladies, pain, and hopes of the modern world. In his diaries and letters, he often described writing as a form of revelation, a complete nullification of the ego in order to embrace a higher inspiration. 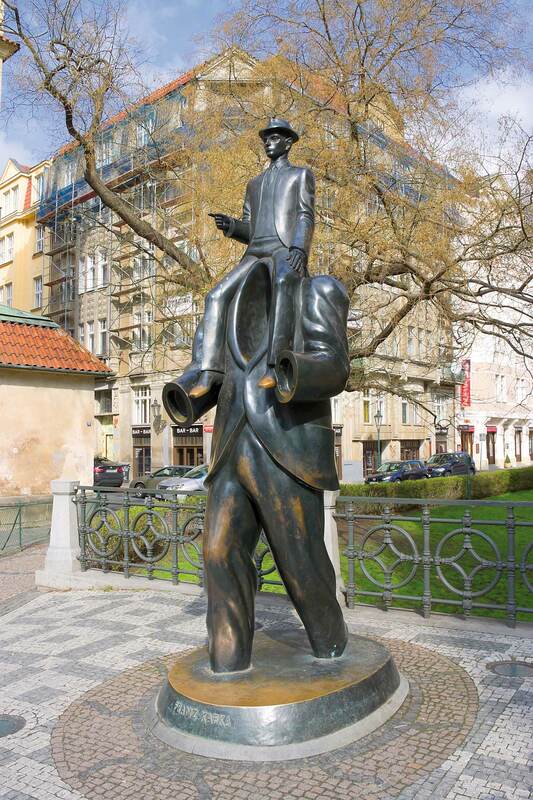 In October 1911, Kafka finally emerged from his fairly isolated existence. Three years previously, at age thirty, he’d moved out on his own for the first time. Now he ventured out to watch a Yiddish theater group perform in a Prague café. 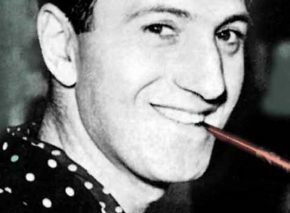 The writer became obsessed with the troupe and forged close ties with its director, eastern European actor Jacques Levi. Over the next six months, Kafka attended all of the group’s performances and even organized a festive event in its honor, at which he gave a fascinating opening lecture on Yiddish language and culture. This talk was Kafka’s first serious attempt to embrace and deepen his Jewish identity. 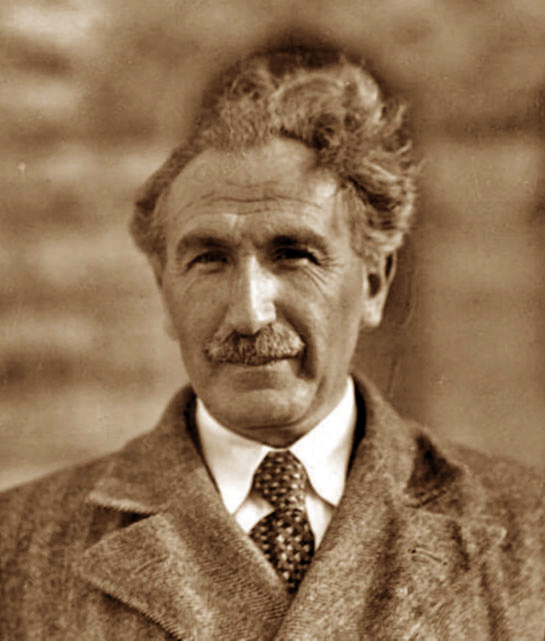 His aversion to the bourgeois western European Judaism of his parents and their generation made eastern Europe’s more authentic, easily identifiable Jews – despised and reviled as they were by their assimilated western counterparts – all the more attractive. 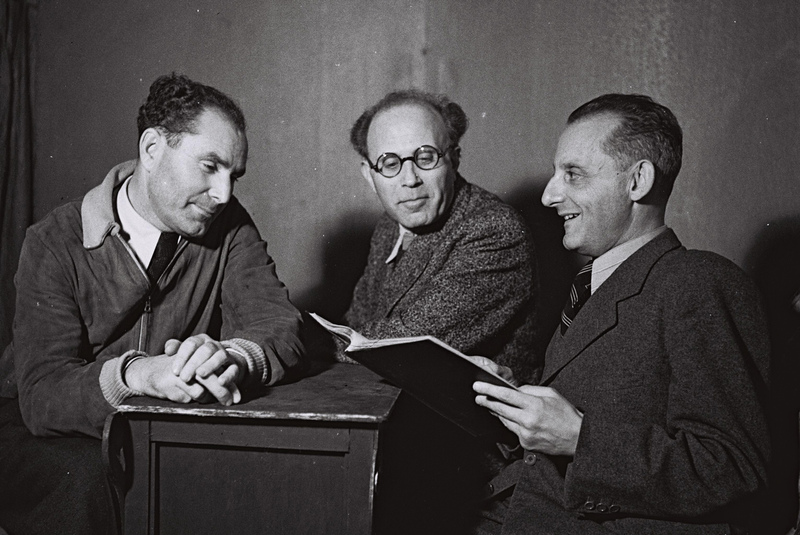 Kafka’s close friend Max Brod also became interested in Jewish tradition, drawn in by the Yiddish theater and the Bar Kokhba Jewish student association, under whose auspices Martin Buber delivered his famous three addresses on Judaism between 1909 and 1911. Buber actually met with Kafka on a visit to Prague. At Brod’s urging, Kafka began delving into Zionism, though more as an expression of Jewish identity than as a means of establishing a Jewish state. Kafka’s flirtation with Zionism led to romance. 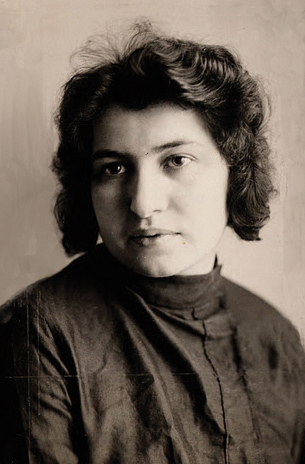 While staying with Brod in Berlin in 1912, he met young Felice Bauer, who also mixed in Zionist circles. Though literature was not Felice’s first love, and she was more down-to-earth than one might have thought would appeal to Kafka, the two forged a deep relationship, expressed in over five hundred letters he subsequently sent to Berlin, often daily. Kafka’s rich inner world emerges more clearly from these letters than do his feelings for Felice; his missives contain more than a few true literary gems. 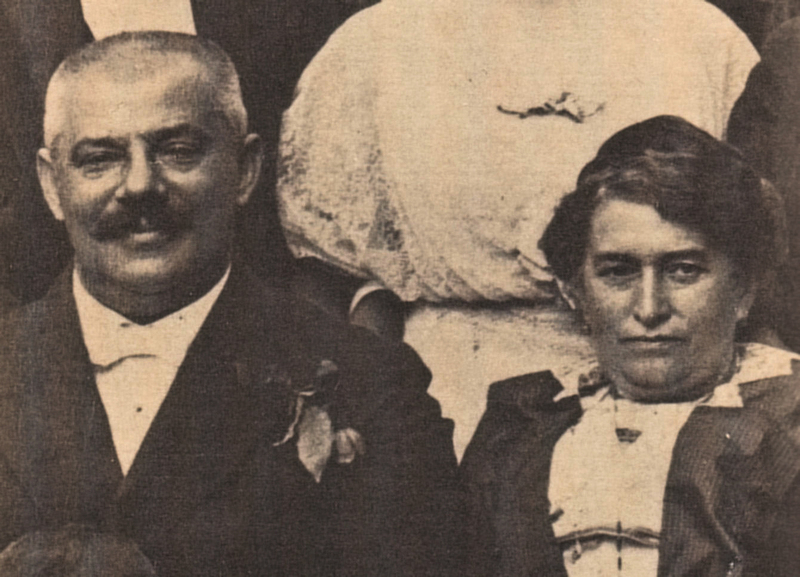 The couple became engaged in the spring of 1914. Two weeks later, Kafka shocked his parents by breaking it off. He and Felice resumed their correspondence two years afterward, and met in the spa town of Marienbad, in the Czech Republic. They were engaged again in the summer of 1917, but the writer soon began coughing up blood and was diagnosed with tuberculosis. In response, he ended the relationship once more, took a leave of absence from work, and joined his sister Ottilie in the countryside, where she was working in agriculture. 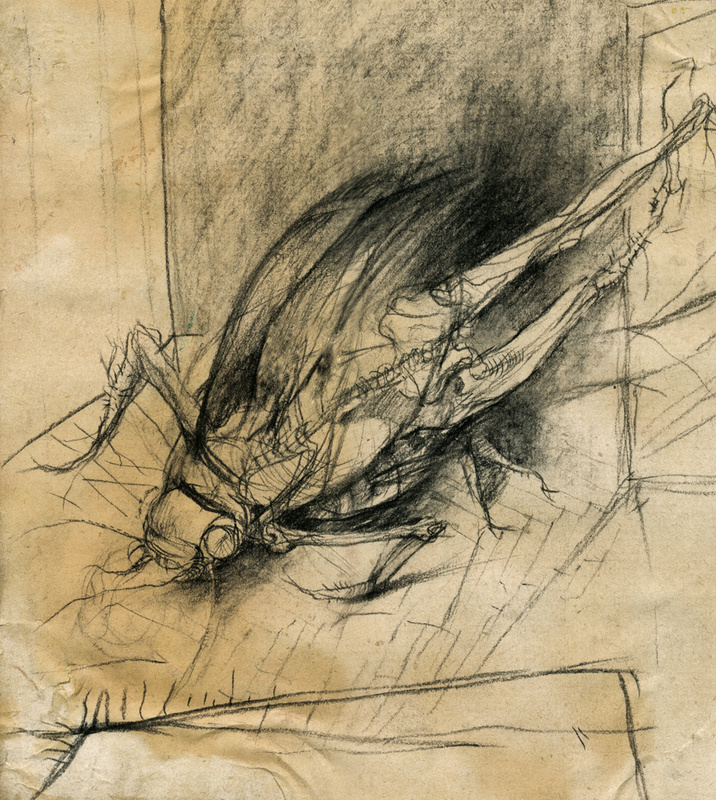 Kafka’s inability to commit to Felice exemplifies the fundamental dichotomy of his existence. On the one hand, both family and Zionism were important to him; on the other, he lived and breathed literature, and lofty artistic ideals were almost all that mattered. 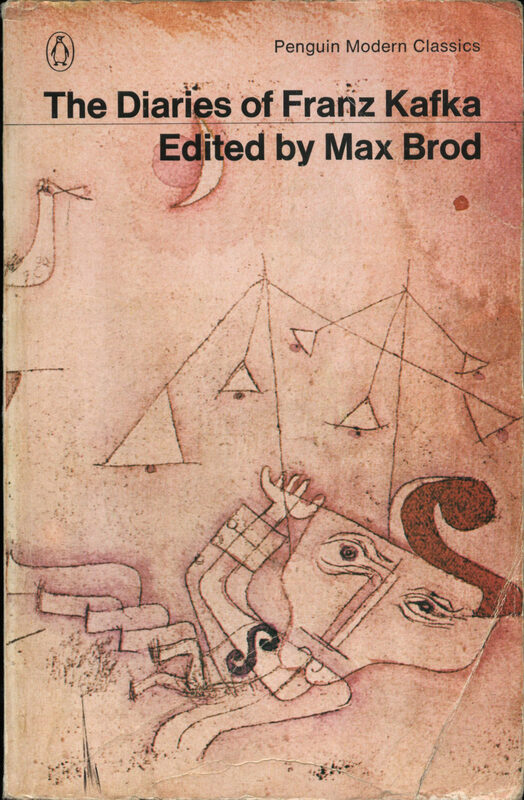 The Castle, an unfinished novel penned during Kafka’s final years, can be understood (as Brod interpreted it in his heavily edited first edition) within the Zionist context. It describes K., a surveyor obviously representing Kafka, who finds himself unable to contact the inhabitants of a nearby castle he believes to have hired him. The plot describes his fight to expose the weaknesses of a faceless bureaucracy and obtain a permit to settle in the surrounding village, which is finally and ironically granted only after his death. The permit symbolizes man’s quest to find his place in the physical world, which – according to Brod – also hints at Zionist attempts to settle the land of Israel. For Kafka, though, these ambitions are but an impossible dream. 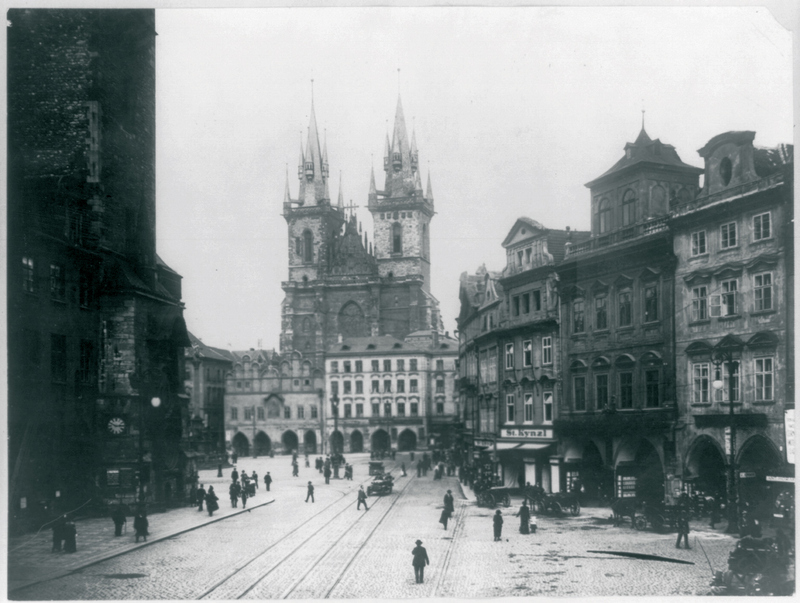 Kafka embodied secular modernism. Rather than eradicating or struggling against religion, he sought to translate it into an everyday, secular context. Max Brod famously quoted him as saying that “writing is a form of prayer” (Brod, Franz Kafka: Glauben und Lehre, p. 234). Kafka took the ideals of religious devotion and asceticism and applied them to art. Yet his hunger artist fails to break through the barriers of mundane reality; he’s doomed from the outset by the commercialization and shallowness of modern life. All that remains is man’s Sisyphean struggle to attain the unattainable. 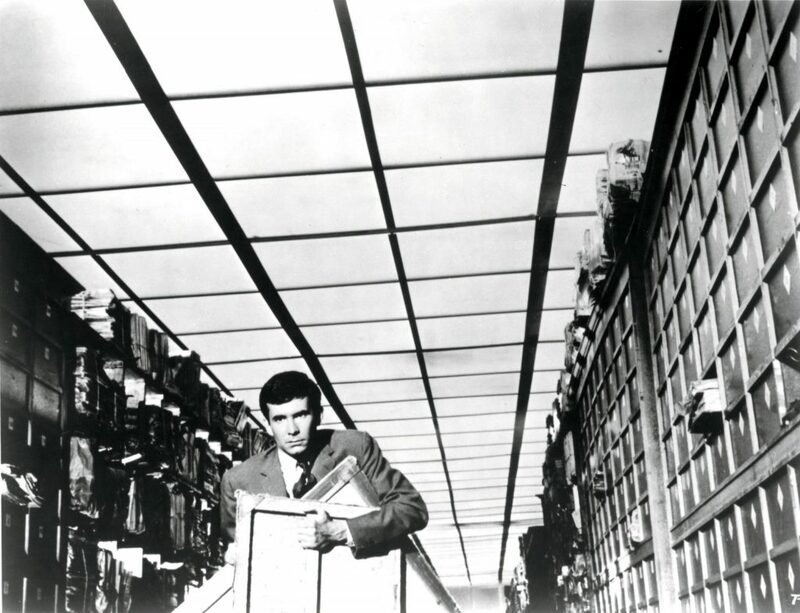 Kafka describes this endless quest through Joseph K.’s fight for justice in “The Judgment” and K.’s efforts to gain access to the authorities in The Castle. One of the most powerful and well-known articulations of Kafka’s pessimistic theology is the parable he incorporates into “The Judgment.” The villager arrives at the gates of justice and seeks entry, only to be turned away by a terrifying guard. The guard assures him that an infinite number of sentries have been stationed along the path to block his way. But just before the villager dies, the same guard informs him that this gateway was designed for him alone, and now it must be closed. Kafka wrote that there is hope in this world, but for God, not for us. Yet there’s a bright side to this philosophy, like the light radiating from the barred gates of justice. The world may be cold, cruel, and random, and God may be unthinkably distant, but for those courageous enough to abandon all hope of external redemption, their pain and suffering will enable them to find godliness within themselves. After his death, Kafka’s negative theology gained popularity among modern intellectuals, particularly in the wake of the Holocaust. After Auschwitz, these thinkers could perceive God only through His absence. To what extent was Kafka a Jewish writer and intellectual? The question has provoked intense debate among literary critics, even affecting the translation of his work. On the one hand, he was profoundly interested in his Jewish identity, learned Hebrew, and valued the religious culture and folklore of eastern Europe. After his final parting from Felice Bauer, Kafka was romantically involved with Julie Wohryzek, a Jewish chambermaid with Zionist leanings. Some claim they were even engaged. In the last year of his life, he moved in with Dora Diamant, a Jewish woman from Berlin who came from an Orthodox family, and she was at his side at the sanitarium near Vienna when he died. On the other hand, Kafka felt detached from Judaism and engaged in an affair with his non-Jewish translator, Czech journalist Milena Jesenská, between 1920 and 1922. He told Milena that her opinion of Jews like himself was inflated, and that all deserved to be locked in a drawer until they suffocated. Some consider this pessimistic pronunciation an eerie premonition of Nazi atrocities just two decades later. Though Kafka’s works are universal, his ability to describe the horrors of modernization is rooted in the special connection between Jews and modernity, as Yuri Slezkine notes in The Jewish Century (Princeton University Press, 2006). Education, mobility, urbanization, and the centrality of capital have characterized Jewish life since the Middle Ages. But these are also the characteristics of modernity, essentially priming Jews to play significant roles in the new era. No wonder Kafka’s literary works can be interpreted from Jewish as well as general perspectives. From Kafka’s decision to destroy his manuscripts, it would seem that he’d chosen to become an end. Brod’s refusal to carry out his request transformed him, despite himself, into a beginning.